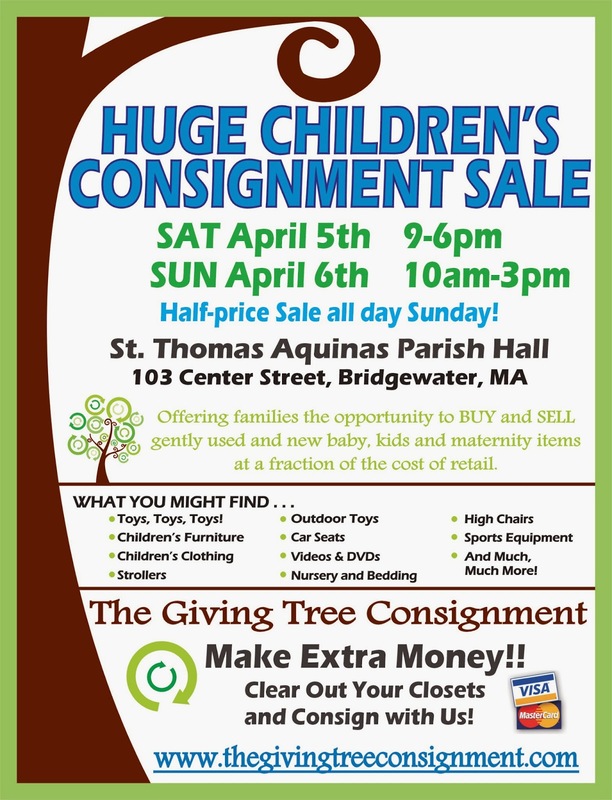 The Giving Tree Consignment Spring Sale will be April 5th and 6th at a NEW location: St. Thomas Aquinas Parish Hall at 103 Center St., Bridgewater. Consignor registration is now open at http://www.thegivingtreeconsignment.com/. The Giving Tree Consignment has partnered with GMSPA to raise funds for Mitchell Elementary.